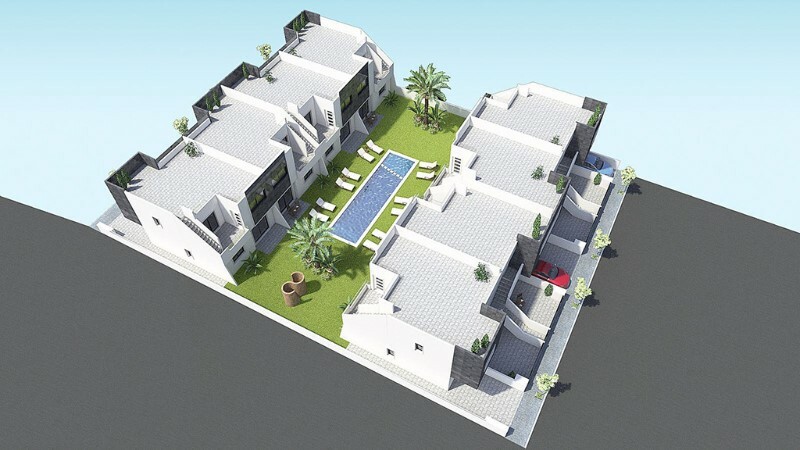 Beautiful new quality apartments in modern style, close to the sea and salt lakes in San Pedro del Pinatar. 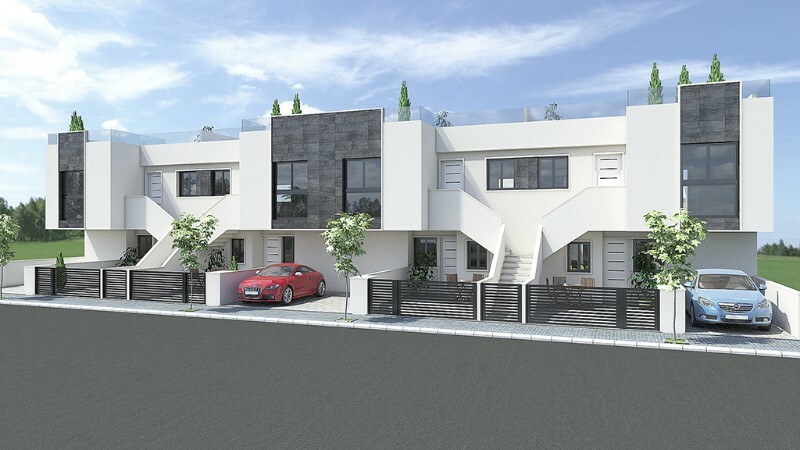 Here you find 16 stylish homes comprise of eight ground floor and eight top floor properties, set around a large communal swimming pool. Each property offers two bedrooms, two bathrooms, fully-fitted modern kitchen with breakfast bar, and open-plan living/dining area. Apartments in ground floor have covered terrace to the front, and apartments in first floor have large rooftop solarium. 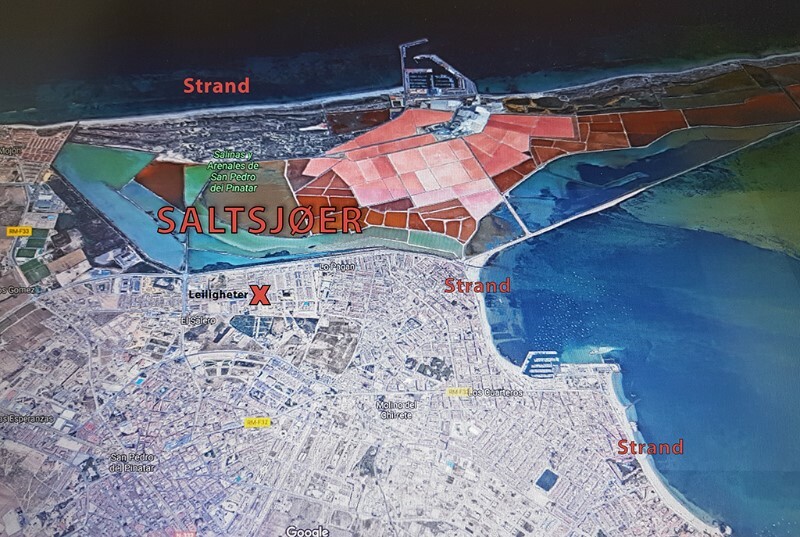 This development is located next to the salt lagoons in San Pedro del Pinatar, just a short walk from the town centre, beaches, shops, bars and restaurants. PRICES: From €137,950. Taxes and legal fees of approximately 13.5% of the purchasing price should be added. Please request a price assessment to show the grand total including all taxes and legal fees, plus an estimate of your annual running costs. San Pedro del Pinatar is located on the Mar Menor, the natural lagoon created by the La Manga strip, on the Mediterranean Costa Calida, at the northern border of Murcia. The town is a fishing port, as well as a magnate for tourism. It is also famous for its mud baths in Lo Pagan. These are free, and all ages can use the mud baths. They are located at the end of the beach and the start of the salinas walking and cycling route out to sea. Simply walk down the steps, cover yourself with the therapeutic mud, said to be good for all types of skin complaints, aches and pain, dry off in the sun, then re-enter the water to wash it all off! San Pedro del Pinatar is 46 kilometres from Murcia and 87 kilometres from Alicante. The International Airport Murcia San Javier is just a 15 minutes drive. There are some absolutely fantastic beaches in and around the town of San Pedro del Pinatar. For instance Drive out to the dunes of Playa de la Torre Derribada and Llana beach, where there is a sports harbour and a restaurant, along with ample parking. 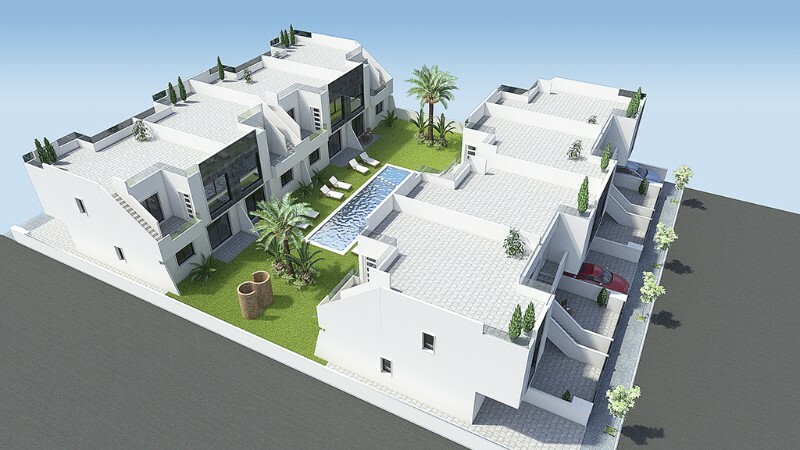 From here the views of the distant mountains, the Mediterranean and the Mar Menor, and La Manga are excellent. Stay till the early evening to enjoy the amazing sunset. Villamartin and Campoamar courses are close by for excellent, challenging, good value golf. For an exclusive treat go down to the world famous La Manga club to enjoy a round on one of the three fabulously manicured courses there. The centre of San Pedro del Pinatar has plenty of shops, boutiques, and banks. For international shopping head for Murcia. San Pedro del Pinatar enjoys a typical Mediterranean climate, with cool sea breezes in summer and protection by surrounding mountains against the cold North winds in winter. The area averages nearly 3,000 hours of sunshine each year and the average temperature easily exceeds 20 degrees. In 1986 the World Health Organisation recommended the climate of the area as one of the most equitable in the world - neither too hot in the summer nor too cold in the winter. On average it can boast 325 sunny days each year making it an ideal all year round destination.